Please use the categories above to navigate the site. Note that some parts of this website are still under construction. Any questions or enquiries feel free to contact me. Contact details can be found in the bio section. 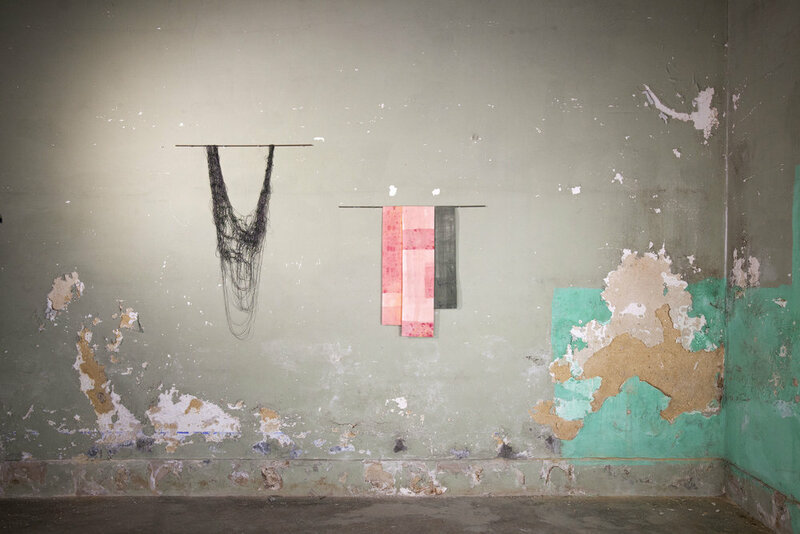 Images from an installation made with works produced while in residence at Óbvia Associacao Cultural in Setúbal in February 2018. More images to come. Pictures from Norwegian Textile Artists Association Residency at Søndre Green. Pictures from Open Day at Nordic Artists Centre in Dale, Norway.